An axis symmetric 2D description of the growth process of a single crystal hollow tube, grown from the melt, by pulling down method. Part 2. 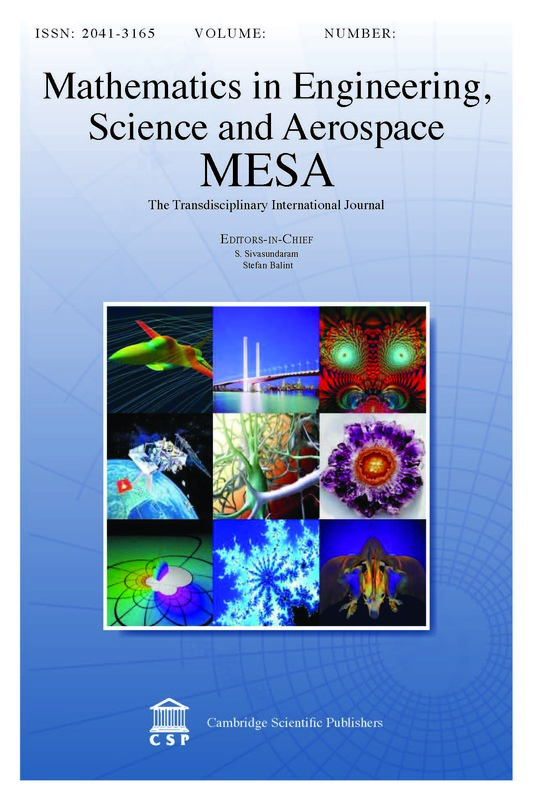 MESA is a transdisciplinary international journal which will publish technical and more informal communications directed to a large readership, as well as papers that demonstrate mathematical interaction between various disciplines on engineering, aerospace and all areas of sciences. Research papers, expository and survey papers of high quality are considered from any discipline. In submitting the papers, authors must guarantee that the papers have not been submitted simultaneously to other journals/publications.